Mischief and Laughs prides itself on not only creating beautiful images at your family or newborn photo session, but also providing clients with heirloom quality prints and products that are unique, timeless, and beautiful. 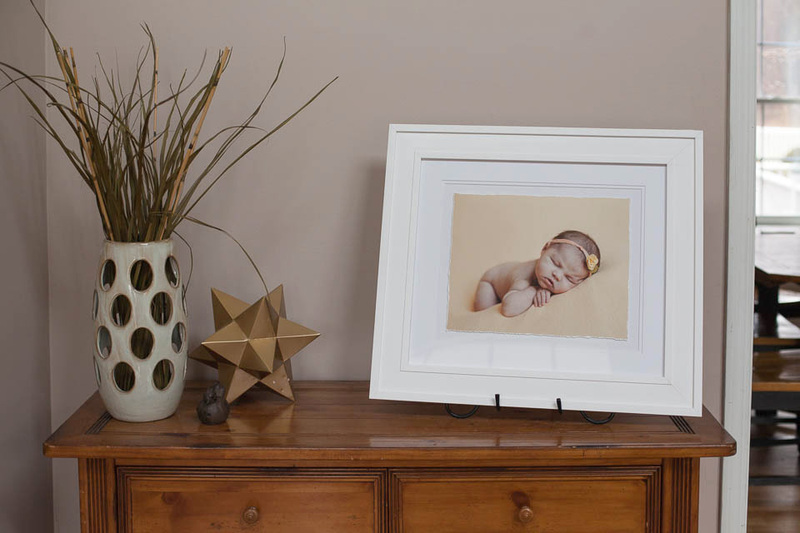 This framed print is the second in our Floating series of custom wall art. 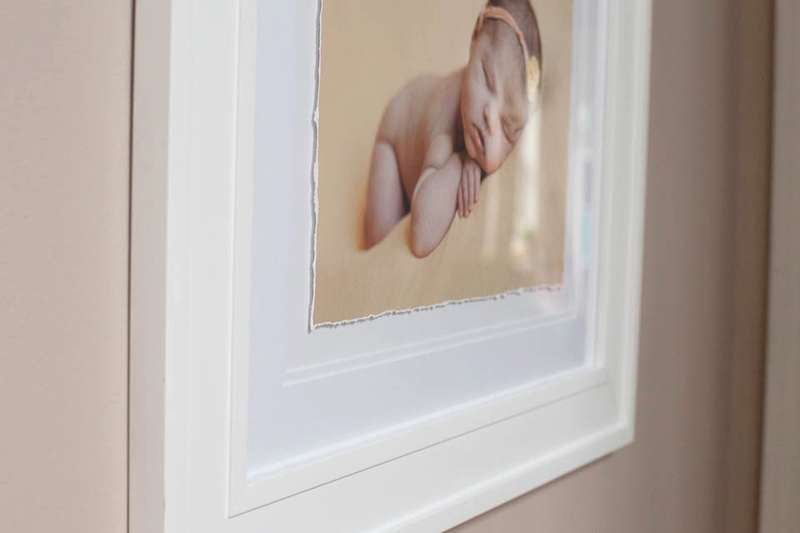 Just like it’s sister the Barnwood Framed Wall Art, the Blanc Framed Wall Art features your favorite image printed on fine art cotton rag paper with hand-torn edges. 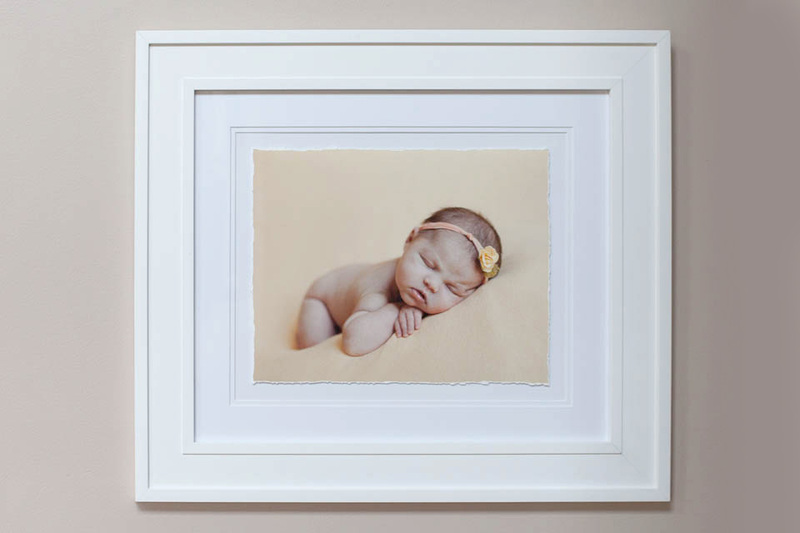 The print is floated against white matting and nestled into a simple but elegant white frame. 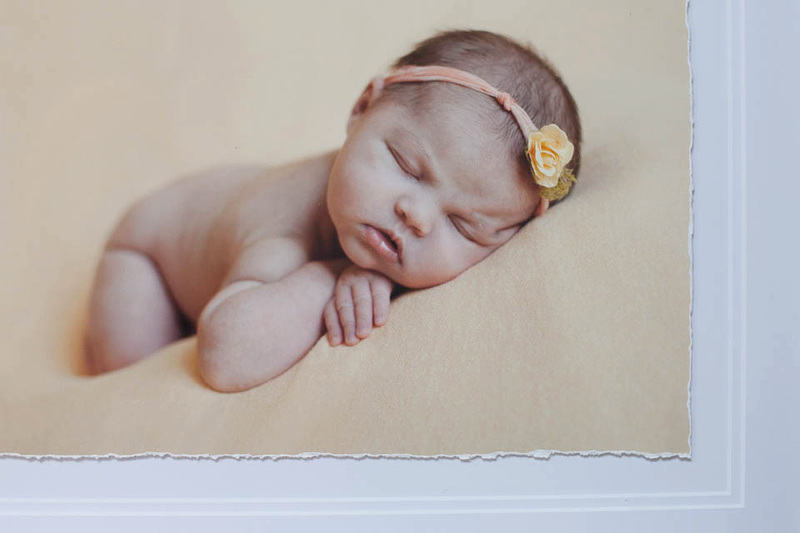 This print is ideal for classic newborn or whimsical outdoor children’s images, and would also compliment bridal portraits beautifully. The clean lines match nearly any decor. The Blanc Framed Wall Art is available in sizes up to 24×36 and can be added to any of our collections.